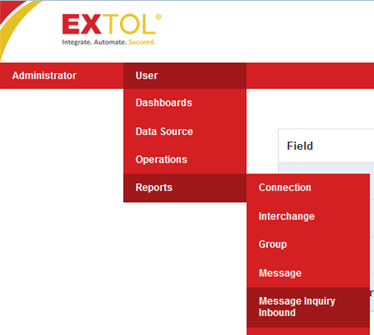 First Login to Dashboard and select your Data Source. Then click on User > Reports > Message Inquiry Inbound. Next you will select Filter and aa pop up will appear with lots of fields you can enter values in. Place the PO number in User Reference 3 and hit Enter. Once you hit Enter it will search for the PO data in Dashboard. Here we will take the ICN number and use it in the EBI Auditor to find the PO to reprocess again in EBI. We need to login to EBI and go to the Auditor screen. Once there click on the Quick Search icon; the little binoculars. 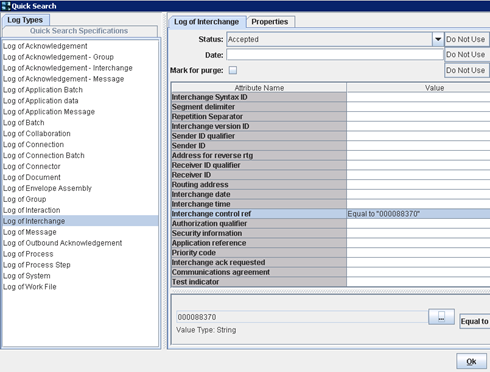 Select Log of Interchange and enter the ICN value into the Interchange control ref field and hit Ok. The search will find your ICN value. Go down to the TSCN level and find the correct PO you want to reprocess. You can check the data by going to the Data tab and selecting Source. 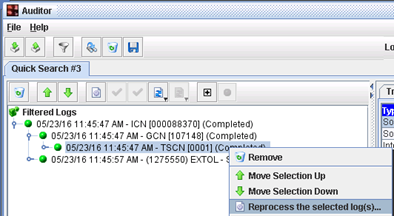 A popup will appear with the TSCN and you will select Ok.